MARIAS CHALLENGE Maria Pascual started college weighing 150 pounds, about 15 pounds too heavy for her 5-foot-6-inch frame. 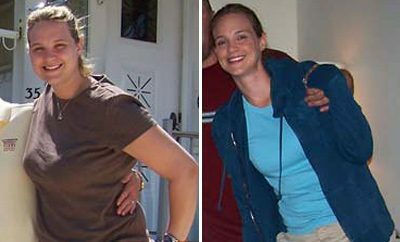 I had yo-yo dieted throughout high school, but no diet could help me reach my ideal weight of 135 pounds, she recalls. Then in college, her weight problem worsened. I was on a tight budget and thought all I could afford to eat was fast food, she says. In addition to taking a full load of classes, Maria worked at a mall, making iteasy for her to grab a burger or fries after her shift. Then she began an intense yearlong nursing course, leaving her little time for anything besides studying. By the time she graduated from college,Mariasweight had climbed to 190 pounds. HERTURNINGPOINTMariaand her fiance were visiting with family and friends on a hot summer day. Maria wore a thick over-sized sweater over her tank top and pants that afternoon. I felt too embarrassed to remove my sweater, even though it was more than 100 degrees outside, Maria remembers. I didnt want everyone to see how heavy I had become. That moment cementedMariasresolve to lose weight. 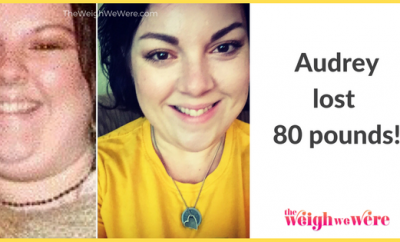 HER WEIGHT-LOSS & EXERCISE PLAN Maria joined Weight Watchers because she knew she needed the support of others who were trying to lose weight. I went to my first meeting and made my first goal to drop one pant size, she says. Having a small, attainable goal gave me the motivation I needed. She started measuring portion sizes with a kitchen scale and ate five or six small meals a day filled with fruit, vegetables and whole grains. Maria also renewed her previously unused gym membership and started taking classes, such as Spinning or kickboxing, three times a week. MAKING SUCCESS HAPPEN With these changes, Maria lost 3 pounds in the first week. That was when I realized I could do it, she says. Maria started buying fewer processed foods and learned that buying healthful foods at the grocery store was less expensive than fast-food and restaurant meals. I learned how to grill fish, chicken and vegetables, she says. I never knew healthful food could taste so good and also be affordable. Maria always prepared extra portions at mealtimes and stored them in her fridge to take with her for her 12-hour shifts at the hospital. Maria also started eating breakfast, a meal she had always skipped in the past. I realized that when I started the day on a full stomach, I wasn’t tempted to overeat later, she says. Over the next few weeks, she saw the difference. 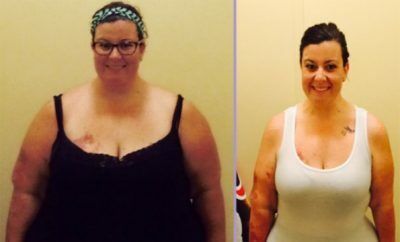 Not only was the number on my scale going down, but I started to feel really good, Maria says. She also began weight training. A year later, Maria reached her goal weight of 135 pounds. Now shopping is fun and I can buy almost anything off the rack, she says. But more important, Maria has confidence in herself that she never had before. 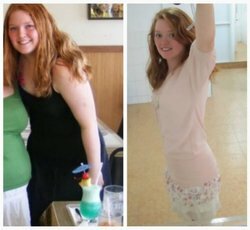 When I was overweight, I was always thinking of what other people thought of me. Now, I love and respect myself.